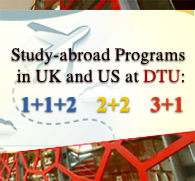 One of the factors contributing to DTU’s success in recent years is that the university has expanded international partnerships with prestigious universities worldwide, to offer students the ability to learn in an international environment at reasonable cost and gain an American Bachelor’s degree without necessarily leaving home. 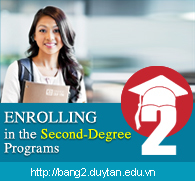 DTU’s American Degree Program (ADP), are organized in partnership with Troy University, one of the leading universities in the US Southwest, and Keuka College, established in New York State 127 years ago. 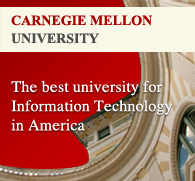 The programs offer a high-standard of education and the latest facilities and technology. 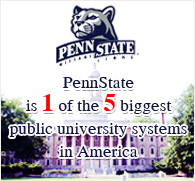 Lecturers, including expert visiting Professors from America, also dedicate themselves to teaching and promoting student research. DTU students of ADP have ably demonstrated their creativity, diligence and motivation to study, which has gained them important awards in national and international competitions. 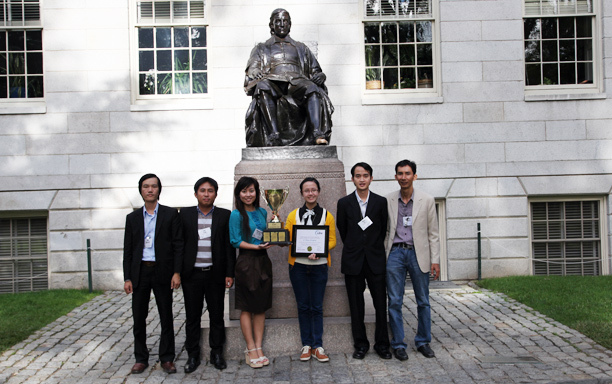 Le Nhat Hung is one of the most outstanding ADP students. 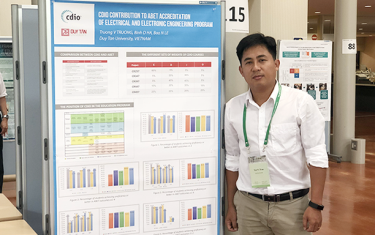 In his first year, he and two colleagues won the “National Instruments Innovation Design” championship for young Vietnamese entrepreneurs. Their “Glasses for the Blind” device allows visually impaired people to move around more easily, read books without having to learn Braille, identify essential everyday objects and find out their current location, all through simple voice commands. Users can also make phone calls and check the time. 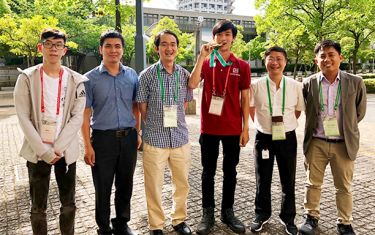 In 2016, Nhat Hung and his team also won the National Targeted Innovation Challenge with a project entitled “A System for the Retrieval and Collection of Information on the Cold Storage of Tuna”. The system met the requirements to create a product which could be commercialized, to improve the quality of tuna, and, in doing so, support the sustainable development of the Aquatic industry in general. Lê Viet Trieu is a final year student of Computer Science. 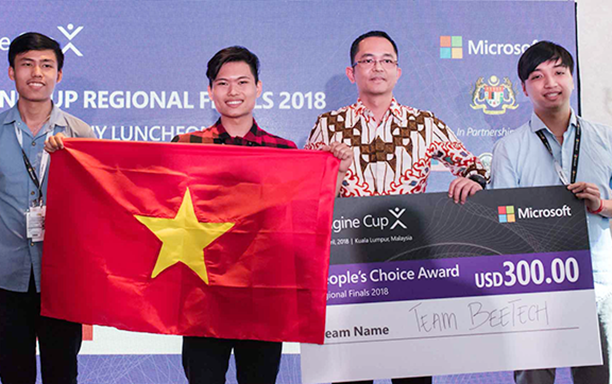 He is the leader of the EMDTDevDTU team, including Le Nhat Hung and Nguyen Van Phuc, who won the 2017 Microsoft National Imagine Cup, with a project called “SmartChick”. 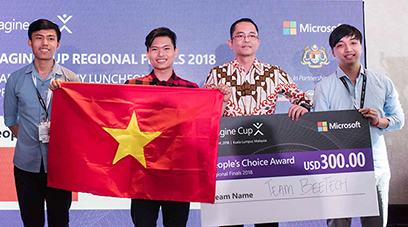 They also won the 2018 National Imagine Cup with their “Smart Car Box” project. The device is installed in a car and continuously collects data on its status, which is then relayed to the driver’s smartphone. 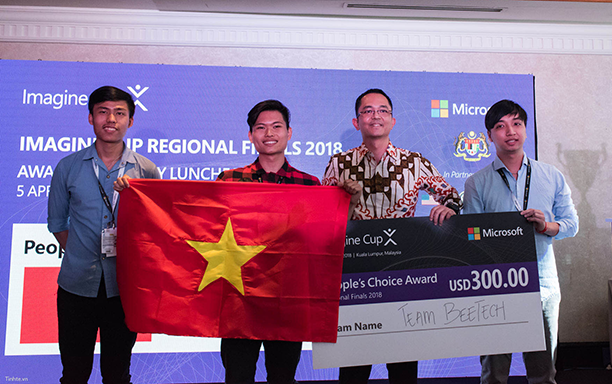 Their “Smart Car Box” won a People’s Choice Awards accolade in the 2018 Microsoft Imagine Cup Asia Pacific finals, held in Malaysia. 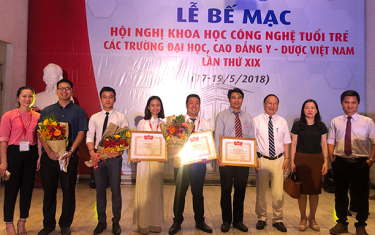 In the 2015 National Entrance Exam, Nguyen Thi Thanh, with a score of 28.25, became a DTU Valedictorian in Business Administration. 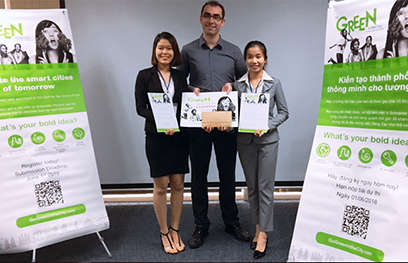 In June 2017, Thanh and her team created the “Mini Generator and Urine Battery” project, which won the 2017 National “Go Green in the City 2017” contest, sponsored by Schneider Electric. 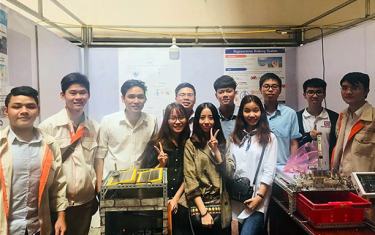 This year, with their “Regenerative Braking System” project, her team surpassed other teams nationwide to become the only Vietnamese teams entering the Asian finals and for two consecutive years, 2017 and 2018, DTU ADP students won. 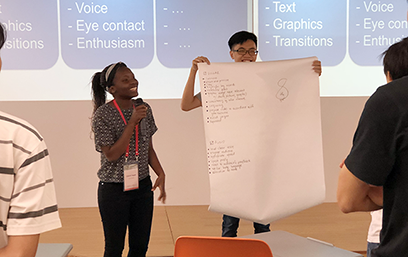 The DTU ADP program is now the choice of students from around the world, including Zimbabwe and Taiwan, because the dynamic environment allows them to broaden their talents even further. Trish Maguta, from Zimbabwe, is a third-year DTU student in the ADP partnership program with Keuka University in the USA, and won third prize at the 2018 CDIO Academy held at the Kanazawa Institute of Technology in Japan. Trish and her team developed a Delivery Drone prototype which transports packages by air to houses, cutting back on petrol cost, traffic congestion and pollution. 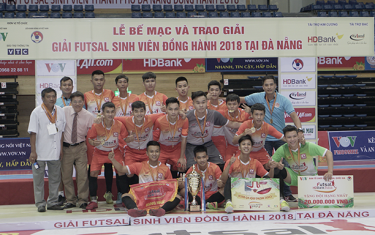 ADP students also proactively participate in international volunteer activities, such as the 2017 APEC Vietnam 2017, the P2A (Passage to ASEAN), and others. 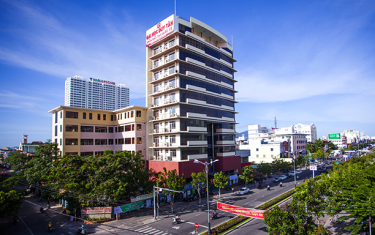 An interesting feature of the ADP program is that students can study in Vietnam for all four years and gain an American Bachelor’s degree, or, alternatively, opt to attend Troy University or Keuka College for the final last two years at a reasonable cost. Scholarships are available to cover 50% of the tuition, in addition to the full administrative support of ADP and the partner. 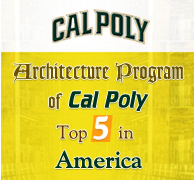 Four ADP students have just completed their applications to spend their final year in the US, beginning at the end of August. DTU has adopted the PBL (Problem-Based Learning/Project-Based Learning) system for teaching Economics Management, Health Sciences and Humanities & Social Sciences, and the CDIO (Conceive - Design - Implement - Operate) system for teaching Technology and Engineering. 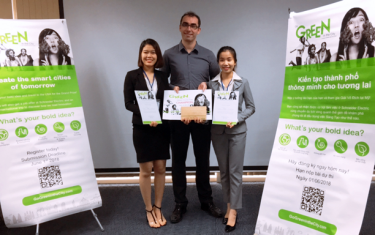 These methods help students to broaden their education, skills and professional experience and gives them the confidence to compete and succeed in international competitions. The objective of the DTU American Degree Program is to graduate self-confident, creative, flexible, humanitarian, community-oriented, entrepreneurial and global citizens, who are ready to meet the stringent requirements the international labor market.